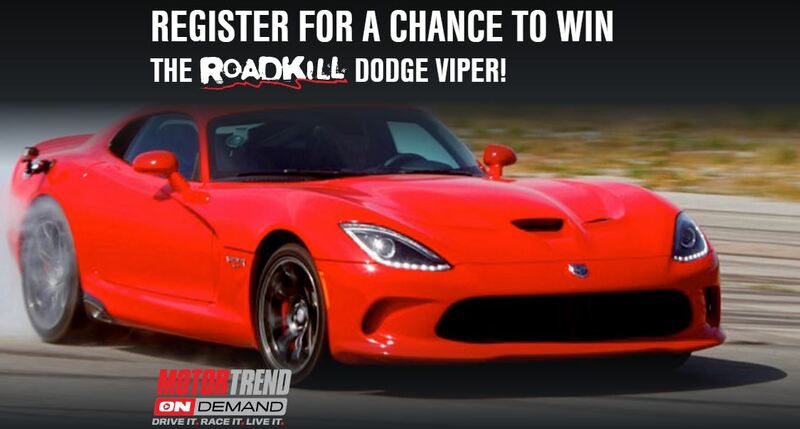 A 2015 Challenger Dodge Viper GT featured in a Roadkill video with an approximate value of $75,000. Potential winner will be selected in a random drawing from all eligible entries received during the Sweepstakes Entry Period. Random drawing will be conducted on or about 3:00:00 PM ET on April 12, 2017.